Wind turbines are bathed in the first rays of sunlight at the Saddleback Ridge Wind Project in Carthage, March 20, 2019. Good morning. Temperatures will be in the high 20s to the low 40s north to south with sunny skies throughout the state. Gov. 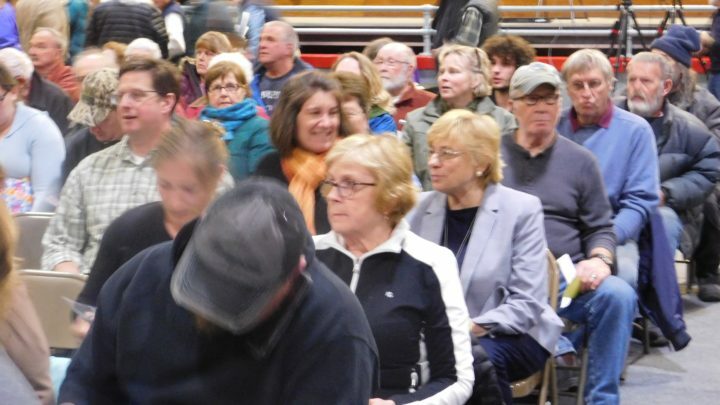 Janet Mills (third row back on right) attends the Farmington town meeting in her hometown. 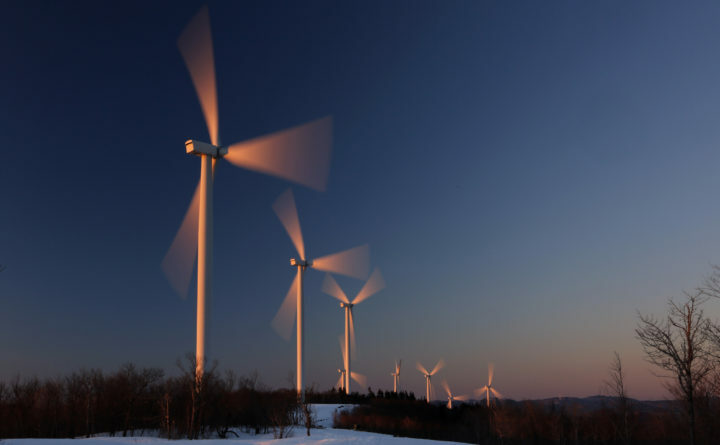 One of the items on the agenda was the town's vote on whether to support Central Maine Power's $1 billion transmission project that runs from the Canadian border, through Farmington and other western Maine towns, and to Lewiston. –In a 262-to-102 vote Monday night, Gov. Janet Mill’s hometown of Farmington rescinded an earlier letter of support for a $1 billion Central Maine Power electricity transmission project that would run through the town. –Caroline Colvin taught history at the University of Maine for three decades. During her career, she became UMaine’s first woman professor and the first female in the country to be appointed the head of a university department. We’re recognizing her legacy during Women’s History Month. What does it mean to be queer in Maine in 2019? 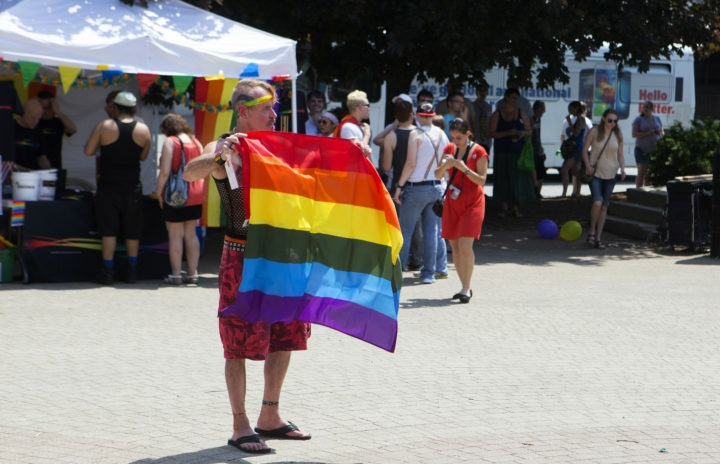 Randy Beal enjoys the Bangor Pride Festival at Pickering Square in Bangor in this June 28, 2014, file photo. –Belfast’s mayor attributes some of her communication problems with city councilors to the fact that she “brings the first young, queer female voice to the role of mayor.” But the word “queer” means different things to different people in Maine, so we asked academics, advocates and others to try to put it in perspective. –The protracted fight over the use of Native American mascots in Maine public schools made it to the State House on Monday, less than a month after the last school district in the state retaining such a mascot voted to change it. –The city is taking steps to start construction this summer. The plan is to run the path from the brick trail north along the river through an acre of former wastewater treatment plant land and then east to the plant’s former entrance. 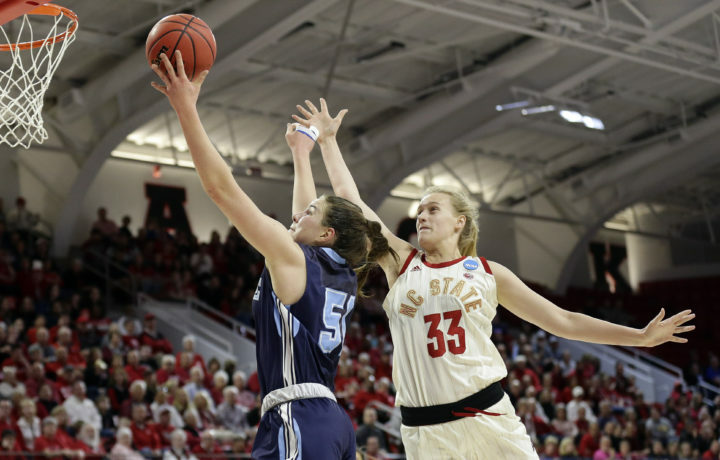 Maine's Fanny Wadling (51) drives to the basket while North Carolina State's Elissa Cunane (33) defends during the first half of a first round women's college basketball game in the NCAA Tournament in Raleigh, N.C., Saturday, March 23, 2019. –Coach Amy Vachon’s Black Bears have made back-to-back trips to the NCAA tournament. With Blanca Millan, Dor Saar and Fanny Wadling returning, UMaine has the building blocks of another league championship team. Robert Mueller’s report should be made public. Reserve final judgment until then.